José Fuster (*1946) has been labled “Gaudi of Havana” by The Guardian, NZZ-Feuilleton, TripAdvisor and others. He is known in Cuba for his initiative to convert his neighborhood in Jaimanitas, a suburb of Havana, into a ceramic dream world. Much hast been written about Fuster online at sites like lahabana.com and artsobserver.com or in tourist guides to Cuba. ArteMorfosis and Festival Caliente! 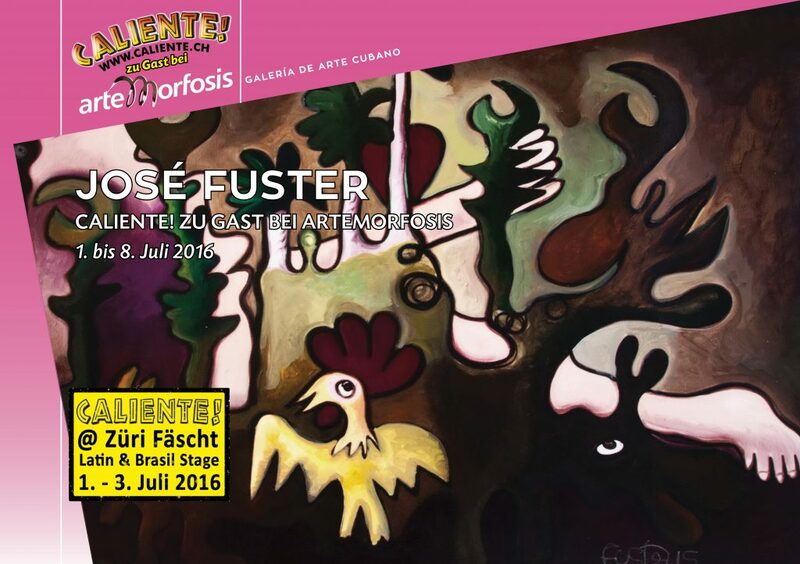 are presenting Fuster in Zürich in the Week of the ‘Züri Fäscht’. He will be painting live on the Caliente! stage during performances of the music groups and ArteMorfosis is displaying a selection of his newer paintings in the gallery. We welcome all visitors to the vernissage of July 2, 5 p.m. – 7 p.m.